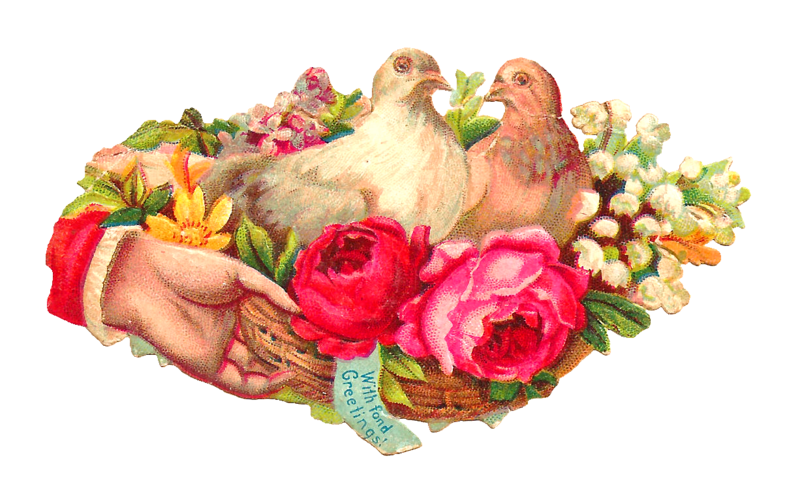 This is a pretty digital pigeon graphic I created from an antique Victorian scrap, known as a hand whimsy. 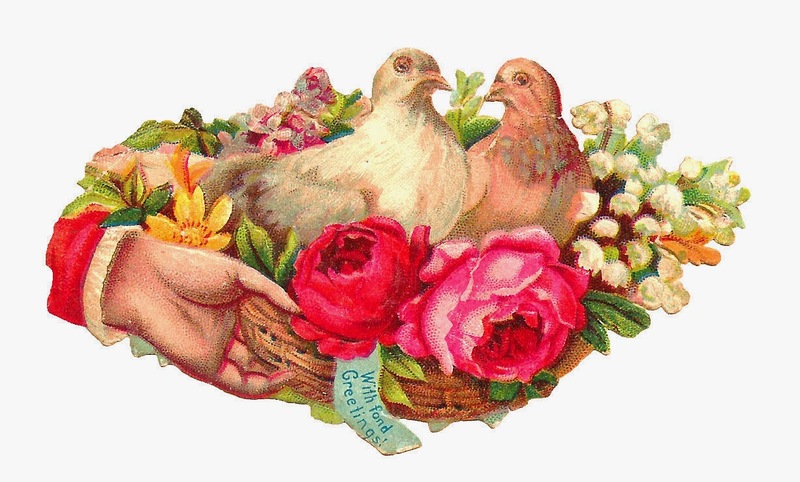 These flower graphics with birds in them are especially wonderful and versatile for so many different projects. I love that these scraps usually feature big flowers that are more pronounced. In this case, it's the two roses. I've given you both the .jpg and ,png files of this flower clip art. I hope you enjoy!